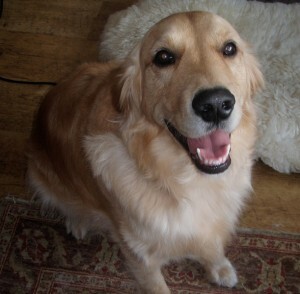 "Excellent service that ensured that our dog Woody was in good hands. Made to feel safe. Comfortable during every session. Wouldn't hesitate to use again. George Humble. 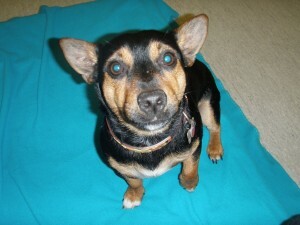 Woody had surgery on a luxating patella and saw us for the post operative rehabilitation.Made to feel safe. Comfortable during every session. Wouldn't hesitate to use again. Feedback sheet: Do you feel physiotherapy achieved all you had hoped for? Yes, Fern certainly improved and continued to maintain her improvement. Do you feel the cost was fair? Certainly. How many people know all the muscles and structures of their dog? Testimonial: I have taken both my deer hounds to Donna, one who needed treatment for stiffness and the other younger one for massage before her shows. There wasn't any problems with her, but it helped with her well-being I feel I can rely on the treatments to keep my dogs well and balanced in their bodies. Both enjoy their visits and would love to go every week. Debbie Keen April 2012. Debbie has since been back after Teazle ran into a fence and ended up with a very sore neck and back! "Highridge was better immediately following the session", "you can give yourself a pat on the back for that one"
"My greyhound, Silkie had been limping for months. She had had X rays and an MRI scan of her back. The MRI was normal so she was sent away by the vet and in desperation I contacted Donna. Donna was amazing and examined Silkie completely and found that she had a lot of muscle spasm around one hip. She massages and treated Silkie and gave me exercises and stretches to do at home. 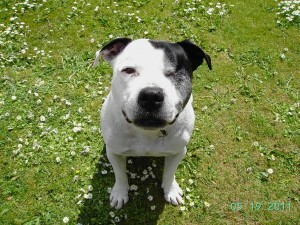 Silke's limp resolved in a few weeks but I also noted that her temperament was much better. Even though her limp had resolved, I continued to see Donna because I felt that Silkie's massage was keeping her a relaxed and happy dog. 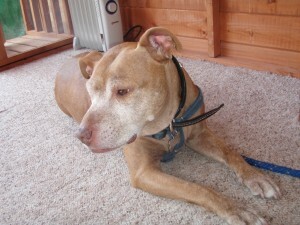 I owe a great debt of gratitude to Donna for giving me my happy dog back." "Initially I had some reservations about having Fletchurs legs moved about because of his lack of mobility but the treatment exceeded my expectations and the improvement was noticeable. 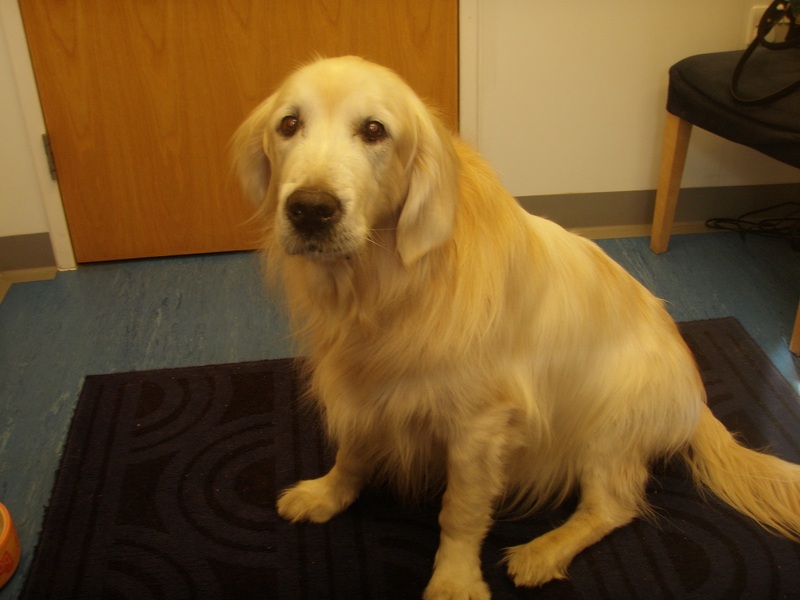 Fletchur was a 13 and a half years old lad x who suffered from arthritis for 7 years. His joints deteriorated over the years and it was recommended to me to try physiotherapy when he was 12. I was somewhat dubious at first as his legs seemed so sore, but I was willing to try and see if there was an improvement. The exercises and massage that Donna did were excellent and I noticed a difference in Fletchur almost immediately; he seemed stronger in his movement and less stiff. He enjoyed going to physio and relaxed on the bed as soon as he arrived. Donna's communication was excellent and I never thought twice about getting in touch for advice if I felt I needed to. She also kept my acupuncture vet regularly updated with his progress. Her open, friendly and positive approach put both Fletchur and I at ease from the start. I couldn't recommend her more highly"
"I was extremely pleased with the service provided. Donna provides an extremely professional yet relaxed service. Her knowledgeable approach is reassuring and it is clear she has an animals best interests at heart"
"Donna provide more than expected service. She is a good and competent physiotherapist. I feel not only did Donna put Max at ease, but myself as well, as I didn't know what to expect. She answered all my questions and when I was worried that I was unable to do one of the exercises with Max as he wouldn't do it for me, she came up with another that I was able to do. If I ever needed her services again I wouldn't hesitate to call her"
"After a horrific car accident I was unsure weather Jess would ever be able to walk or run. But just a few sessions with Donna, Jess is back to her normal running, jumping, feisty self. Thank you Donna, So much. Jess has been amazing thanks to the physio!" "Thank you again for all your help, it certainly made such a difference to Raffles' life"
"We appreciate your help you have given Harvey. You have made a big difference to his life this year. Thank you"
"Thank you for your work with Winnie"
"Thanks for all you have done for us this last year, and for your kind words last week"
"Thank you for looking after me"
"Thank you for taking care of me"
"Thank you for keeping Scrabble so fit"
"I am most grateful to you for giving Barly a new lease if life"
"I can never repay you for being such a support to me and Polly. I miss you both"
"The service was very friendly, all the information was given, Yogi was very happy and the result was very good"
"Donna is wonderfully calm and patient, which is essential when dealing with nervous or excitable animals. Couldn't have hoped for a better outcome. Would definitely recommend. Felt relaxed myself when I came out!!" "I can't thank you enough for your care for Ty and support you have given me both...He was doing so well and I could see the improvement after using the mat for just 2 days. It has been a pleasure knowing you, and you play an extremely important role in any responsible pet owners life. A big thank you form the both of us!" "Following severe and unknown trauma our pet, a domestic small animal, required resuscitation at the local veterinary group in Berkshire followed by referral to a specialist orthopaedic and neurological center in Bedfordshire. For the following 3 months our feline underwent twice weekly physical treatments with Donna Wills, Animal physiotherapy. Clearly some of the neurological injuries were sadly irreversible. However Donna Literally "nursed" our pet back to life. From the onset, her caring approach, gaining the animals confidence and maintaining the treatments both at an holistic and muscle functional development levels, were hard at work. This service fills an immeasurable void between and acute interventions and treatments and the longer term rehabilitation and recovery: Worth every penny"
"Nina was put on a comprehensive treatment plan and worked 100%. 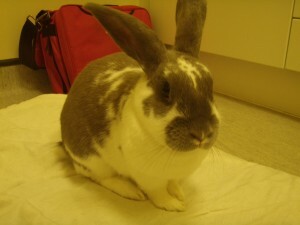 Nina's injury improved steadily and the treatment was very effective. Donna informed me at every stage and was very professional in her approach and obviously in tune with my animal. I highly recommend her services and not hesitate to use her again if needed"
"Thank you so much for all you have done to help make Indi's life fun again!" 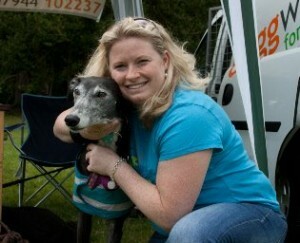 "Many thanks for all you are doing for Ash"
"Donna was very patient with Poppy and soon was able to put her at ease. 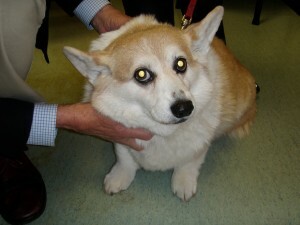 The physiotherapy has definitely helped in Poppy's rehabilitation. Excellent service"
"Although we only had two sessions, we were very happy with the service we got"
"Our local vet said there was not much hope that she would recover and ever use her back legs again...the reaction to the therapy was amazing...after a few weeks she was up and walking...3 months has passed now...she can not only run but is jumping as well"
Mr Dowling and Miss Jeffery, regarding physiotherapy to treat a symptoms of a fibrocartilagenous embolism. 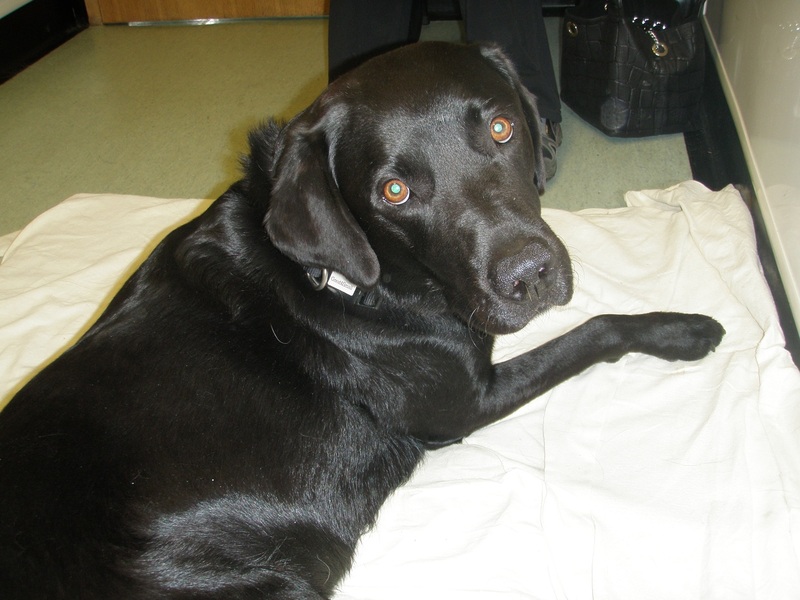 "Without your physiotherapy I'm sure Molly would not be able to walk again...I would recommend you to anyone...you gave me hope...I can see such an improvement..."
Mrs E. Giles, regarding physiotherapy on Molly for paralysis following spinal disk trauma. "Very informative evening in a relaxed and friendly atmosphere." Jill, regarding Dogs are athletes seminar. 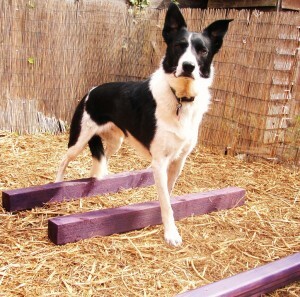 "Essential information to understand how important it is to keep your dog/animal fit, and to help prevent any injuries etc." Jenny Lovegrove, regarding Dogs are Athletes seminar.